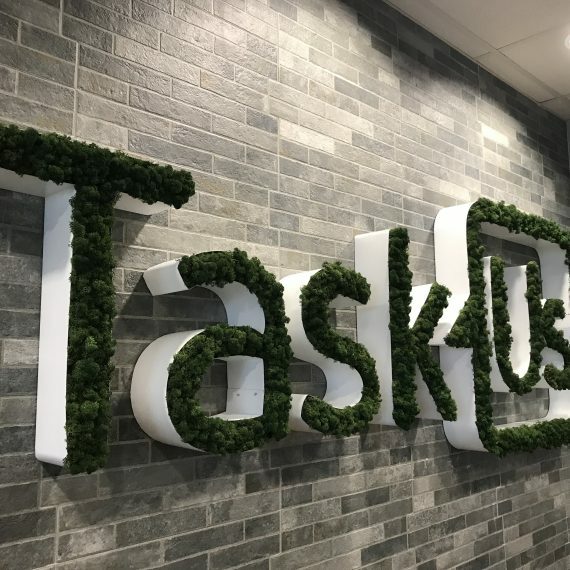 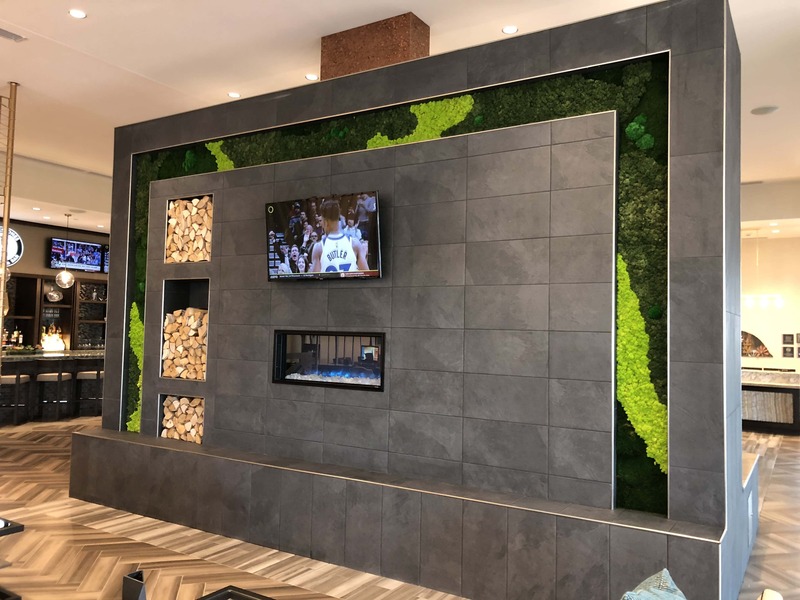 Guests and visitors are enjoying the warm, comfortable biophilic space that brings the outdoors in with this 165 square foot dual-sided Moss Wall Art. 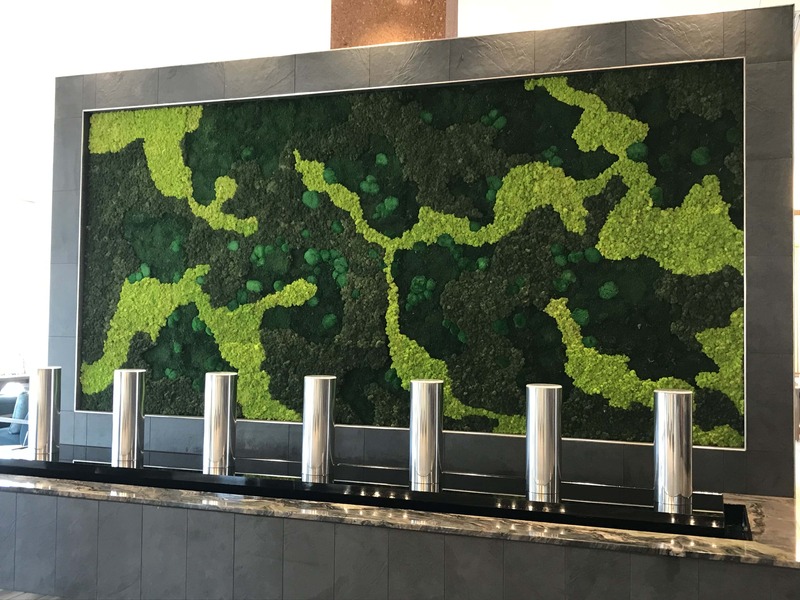 A mixed moss palette of spring green and dark green reindeer moss, pole moss and dark green sheet moss were combined into a free-form design. 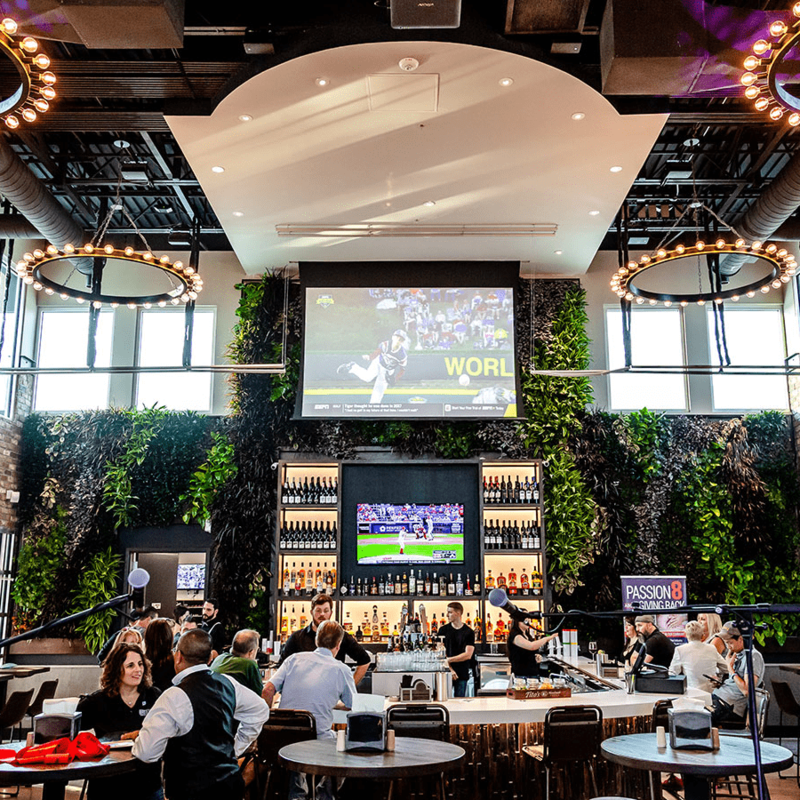 As an Embassy Suites brand, botanical elements were a key part in the overall creative design strategy. 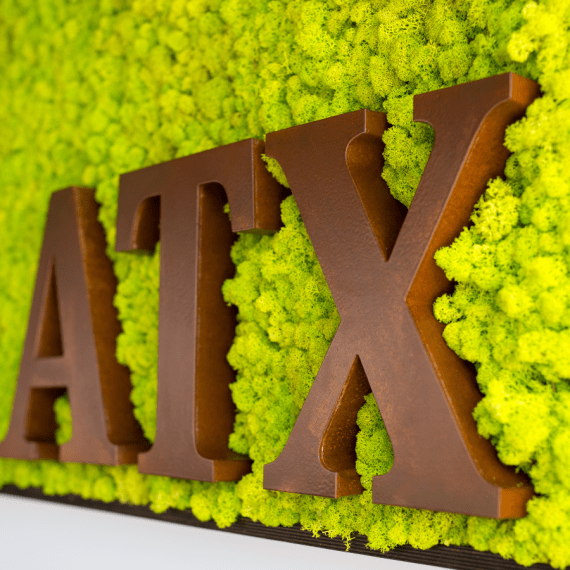 Initial plans called for a living green wall to be installed behind the water features. 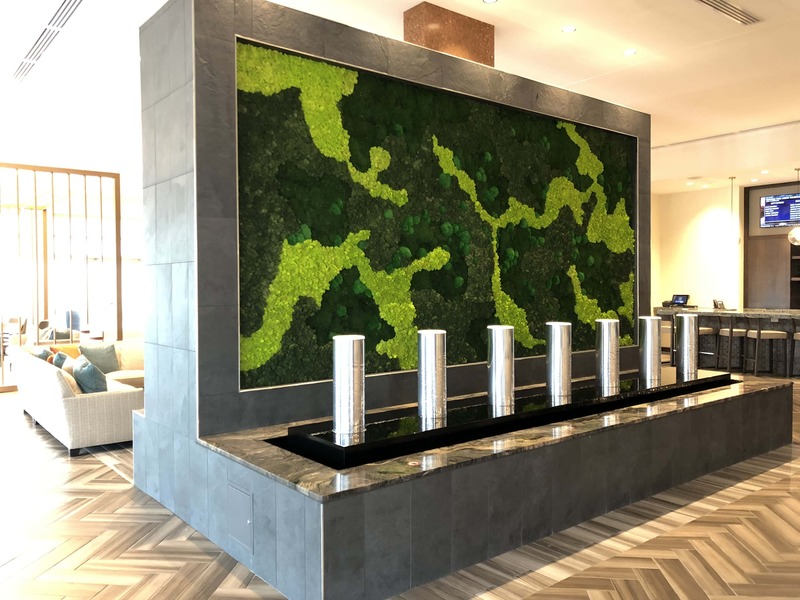 Plans were revised due to access concerns for maintenance on a living plant wall behind the fountain and a beautiful multi-moss design was created to take its place.